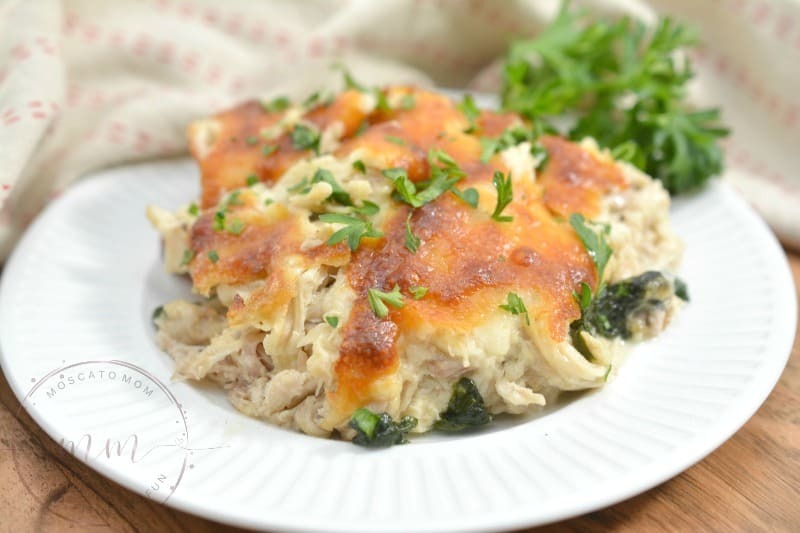 This Low Carb Chicken Casserole is so easy to make you will not even miss the carbs! 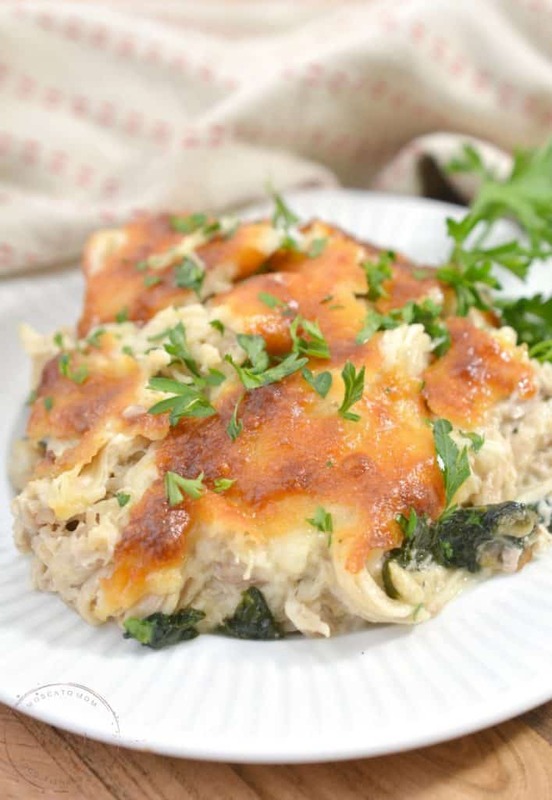 Creamy and cheesy and packed with nutrients, this one the whole family will love! 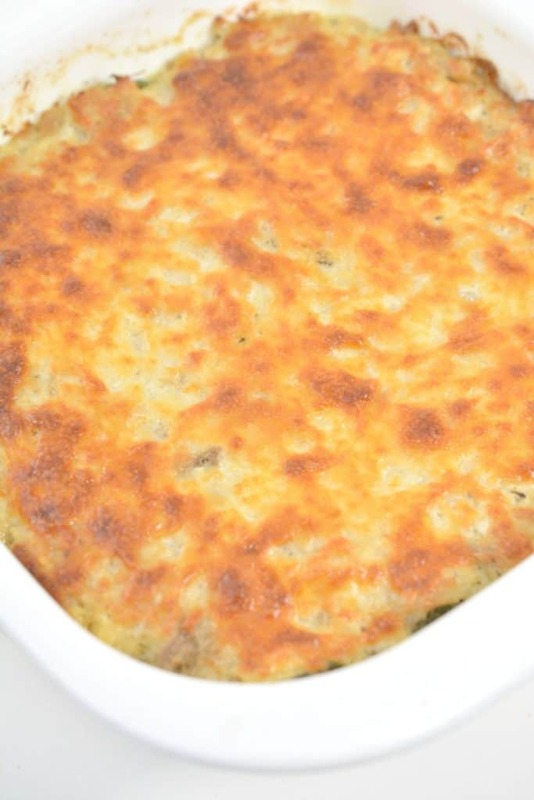 I chose spinach to put in this low carb casserole, but you can really use any veggie you like. 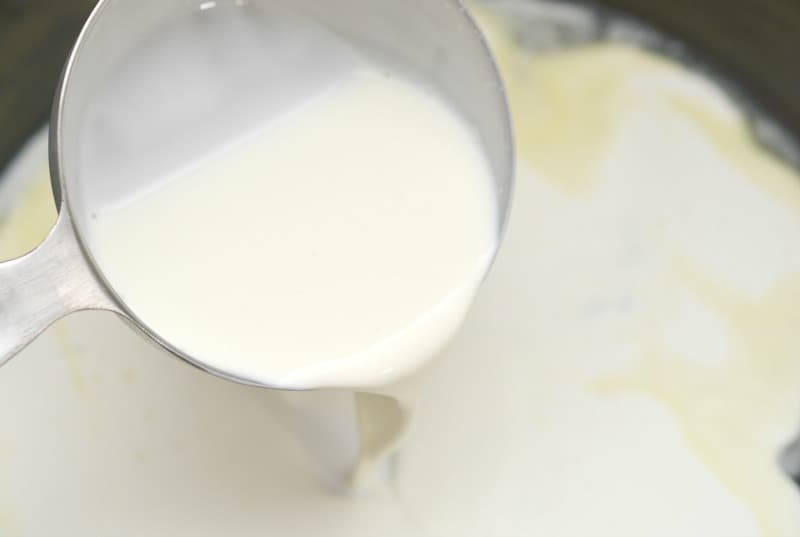 The creamy sauce goes well with just about anything! 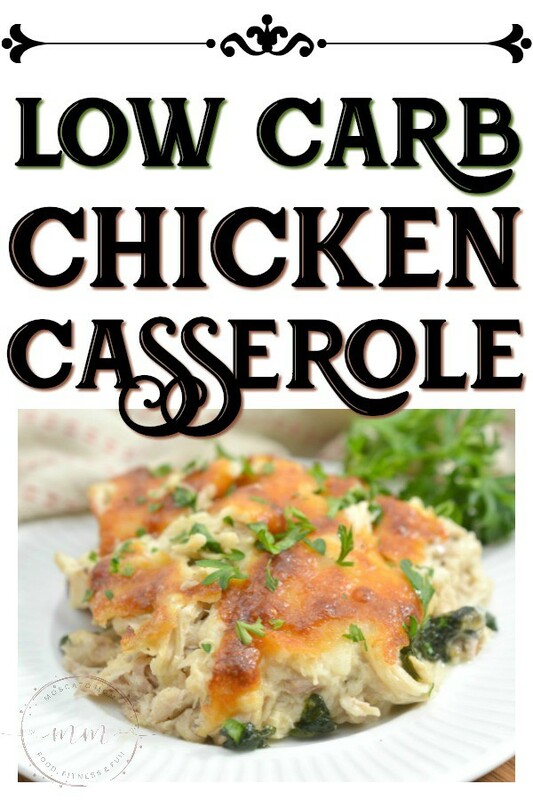 This Easy Low Carb Chicken Casserole can be made with a precooked rotisserie chicken, canned chicken, or even grilled chicken. 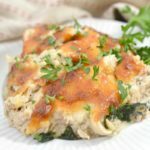 Even though this casserole has spinach in it already, I love pairing it with my Roasted Low Carb Veggies. I just run everything into the oven at the same time and voila! 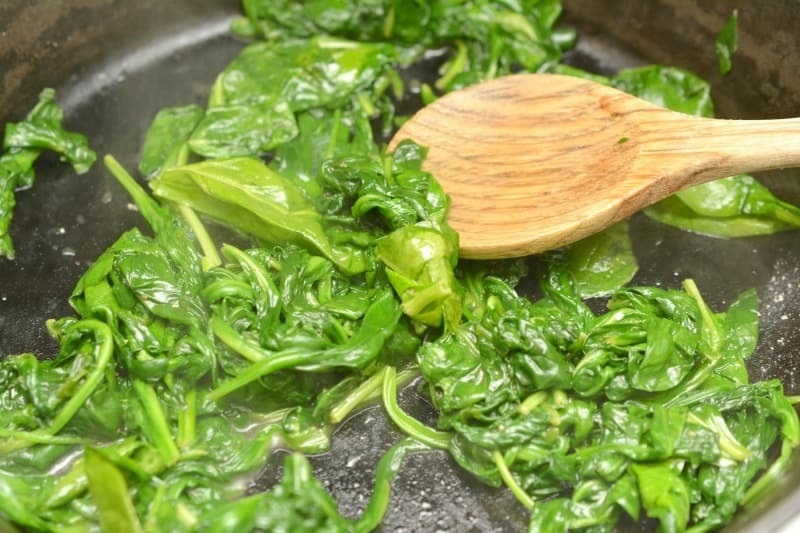 Add the spinach to the heated skillet a little at a time, and cook until wilted. I use my cast iron skillet for this and it comes out perfect every time! In the same skillet, melt 2 tbsp of butter. Top with a thin layer of Mozzarella cheese. 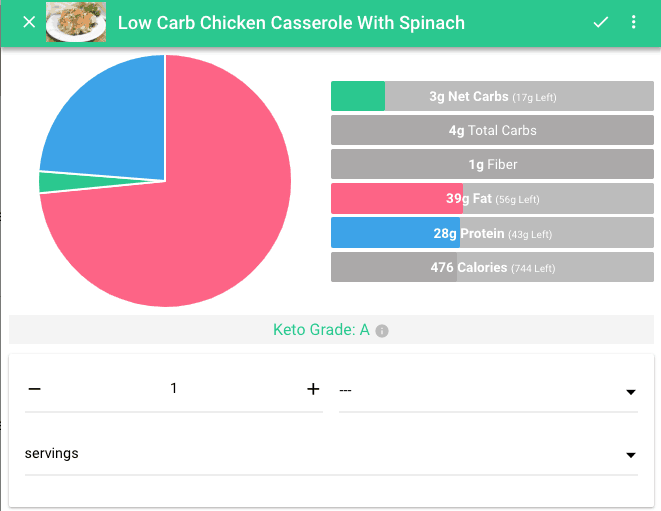 Each serving of this Low Carb Chicken Casserole has 3 net carbs, 4 total carbs, 1 g fiber, 39 g fat, 28 g protein, and 476 calories! That is almost a perfect pie chart! 10. 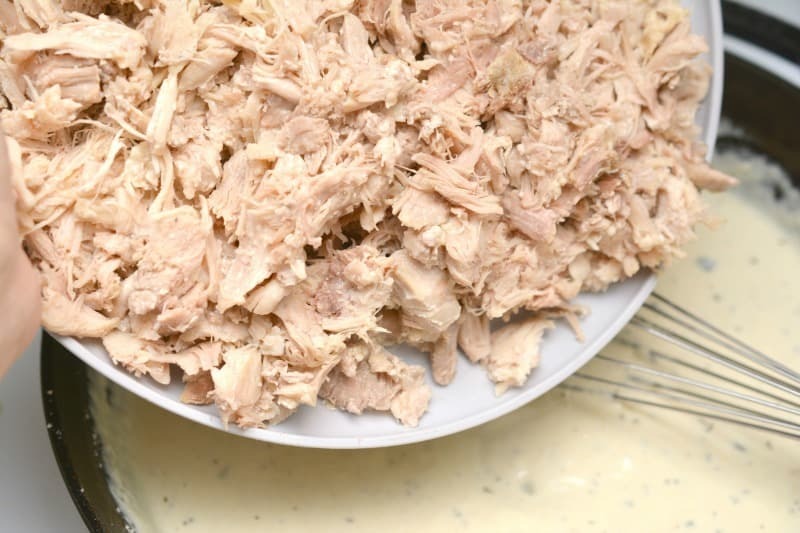 Mix in the shredded chicken. 11. Spread the chicken mixture evenly over the spinach in the baking dish. 12. Top with a thin layer of Mozzarella cheese. 13. 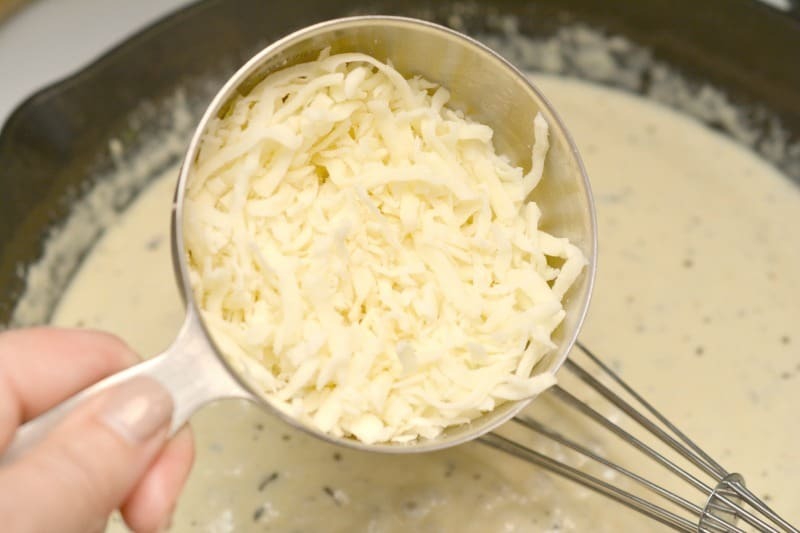 Bake for 20-25 minutes until the cheese is browned and bubbly. 14. Garnish with freshly chopped parsley and serve.